 Thank you for choosing The Children's Eye Center for your care. We strive to make your visit as pleasant as possible. Please bring your insurance card and driver's license to every visit. Co-payments will be collected at the time of service. All non-covered services will also be collected at the time of service. Written consent and a copy of your driver's license must be sent if a minor (age 18 or younger) is sent to the visit with someone other than the parent or legal guardian. Food and drinks are not allowed in the waiting area or exam rooms. We have an automated system to send out reminder calls for your appointment. Please give us your most recent information so that you can get this reminder call. Cancellations should be made at least 24 hours prior to the scheduled appointment. If you are more than 15 minutes late to your appointment, you may be asked to reschedule. This helps us try to run our clinics on time.